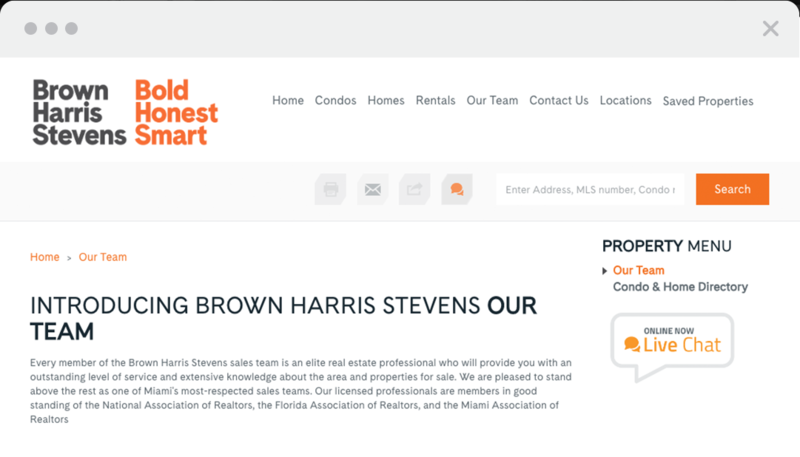 Brown Harris Stevens is an elite real estate firm serving the greater Miami area. 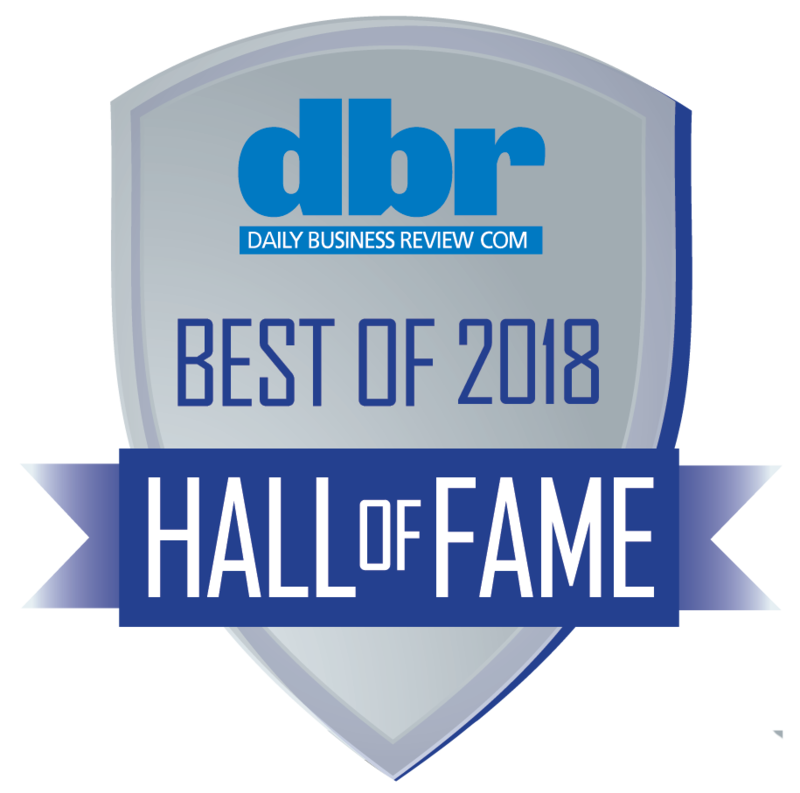 They emerged as a leader in their industry’s digital space 15 years ago thanks to their original website designed by Mark Zilbert. 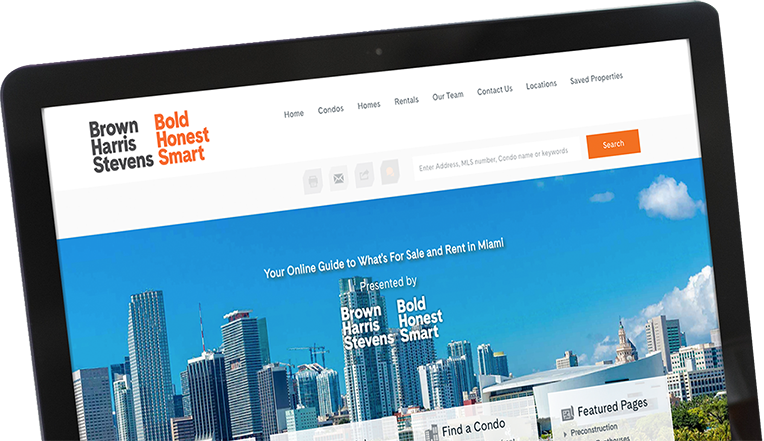 Mark’s website set a standard as ‘the’ website for condos in Miami–a standard that many have tried to imitate, but without success. 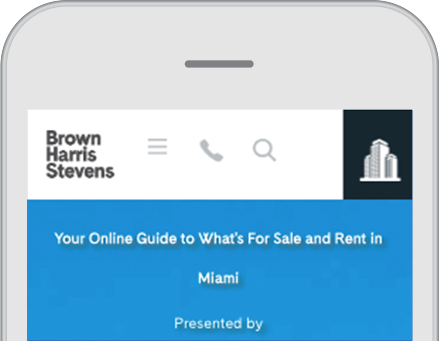 Because of the success that Brown Harris Stevens had already had with their digital presence, modernizing their site was a high-stakes endeavor. TECKpert led the effort to transform their digital presence with a new, modern design while improving upon the technology that made it one of South Florida’s top real estate websites. TECKpert integrated design, development, marketing and consulting expertise to chart their new direction. Our team was required to create a new and improved experience that made it easier for visitors to interact with the vast amount of data available on the Brown Harris Stevens site–everything from building details, images, maps and listings (active and sold) which were organized by unit size. 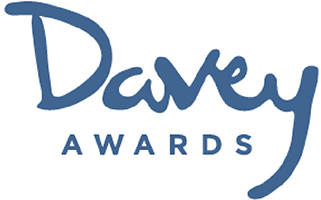 As part of this effort, we improved the organic rankings they gained over the years with a new and enhanced site structure. Since the new site was deployed in 2016, the TECKpert team has continued assisting with meeting the needs of BHS as they expand in the South Florida market. Brown Harris Stevens, or BHS, is a leading luxury residential real estate brokerage firm, specializing in high-end properties in New York City, the Hamptons and South Florida. The firm was founded in 1873 and is one of the most esteemed in its industry, with a reputation for depth of knowledge and exemplary service. BHS is headquartered in New York City.